With mobile applications, you enable the success of your on-the-go business and clients. Whether you’re looking to create or expand your mobile platform, High Touch Technologies can engineer a solution. Our skilled programmers deliver custom-built mobile applications for Android, iOS, and Windows platforms. At High Touch, we bring the human touch to technology. With today’s rapidly expanding market, developing a mobile strategy can be intimidating. We’re here to help. As technology advances, more users are depending on mobile applications. 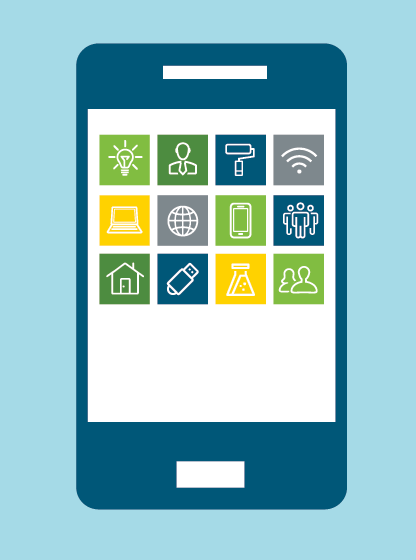 Is your business ready to tackle the mobile marketplace? High Touch has over 30 years of experience building custom software applications. We’ve grown and developed alongside the mobile market, which gives us a unique insight into building innovative, successful solutions. High Touch has a history of producing user-friendly applications with a focus on data accessibility and storage, security, and responsiveness. Mobile applications, like any technology solution, result from manufacturing cost-effective solutions to difficult problems. With client-focused approach to business development, we listen to see how we can improve your bottom line through mobile development. If you need to create an app for multiple platforms simultaneously, High Touch can deliver a single code base to simplify management and deployment. By nature, the cost of your custom mobile development project varies based on the type and amount of work High Touch performs. We provide a business development document for each project with a complete cost breakdown. High Touch offers additional software solutions, including Custom Software Development, Legacy Systems, Enterprise Resource Planning Software (ERP), and Customer Relationship Management Software (CRM).